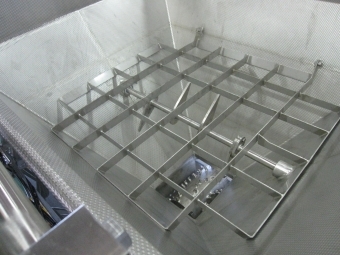 Mix-and-blend systems provide volumetric or weighed proportioning of ingredients into a blend or recipe. When used for frozen vegetables, fruits, pasta, or protein ingredients the stack-up normally includes a cluster breaker in addition to the metering unit or other flow-control device. 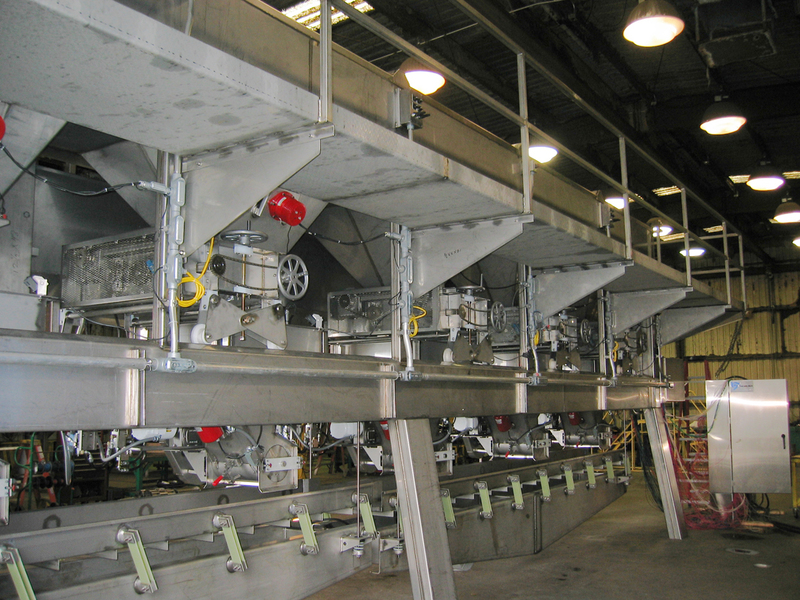 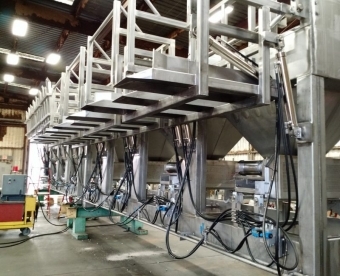 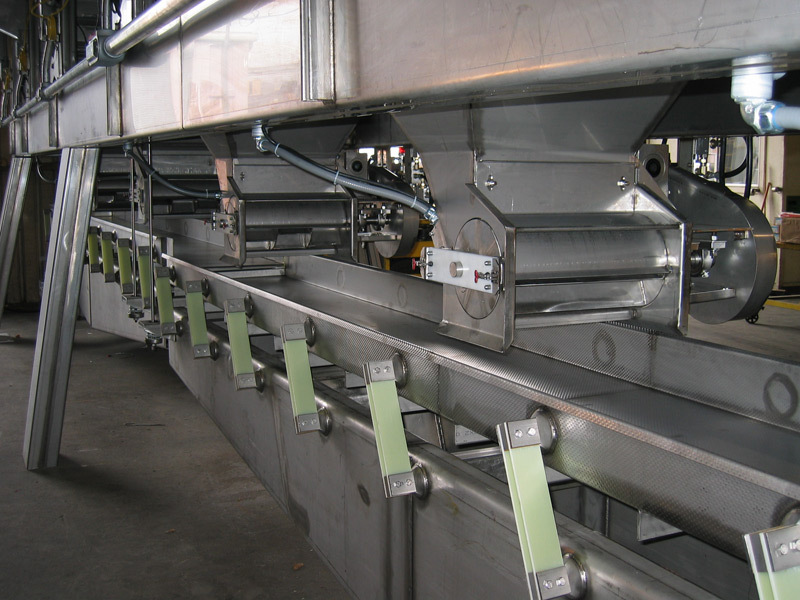 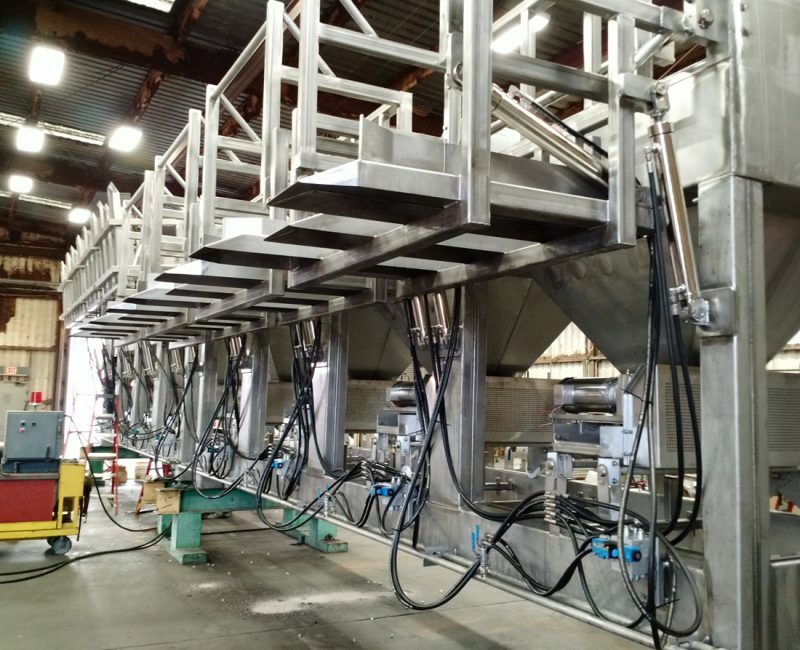 Collection conveyors deliver the blend of product to thermal processing equipment or to the packaging deck.